It is with great enthusiasm that I welcome you to the 2018- 2019 school year! I hope you had a relaxing summer and are ready for some challenging, fun and rewarding times. As a long time educator, I am thrilled about the opportunity to serve the St. Bernard High School community as the Executive Director of Institutional Advancement. Our vision is simple, we want to offer the absolute best Catholic high school experience possible. I truly believe that an outstanding education begins in the classroom. It is our goal to provide highly innovative and effective instruction. 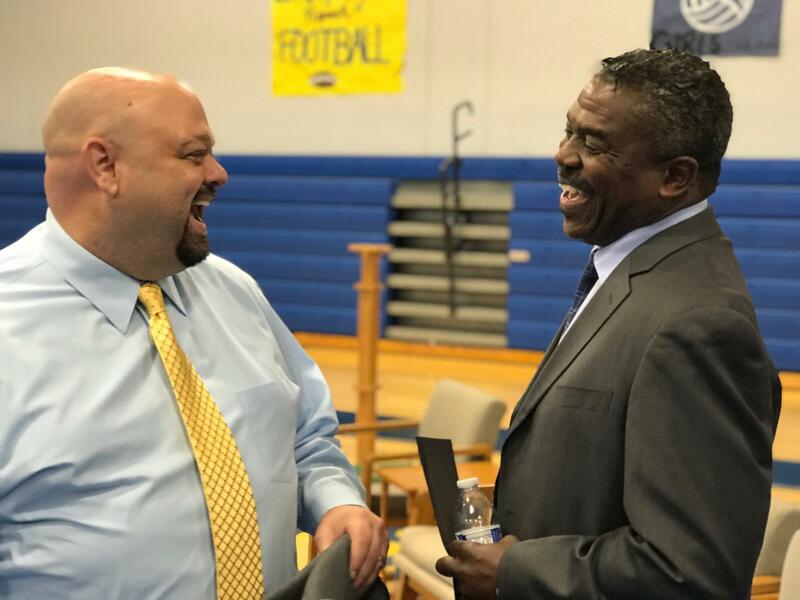 Rick Billups, our Principal and I are completely focused on assisting our staff in the delivery of the rigor necessary for our students to compete on a global level. In addition to a strong academic agenda, a well- rounded high school program is supported by an array of viable co-curricular activities. We are confident that we have the ability to strengthen and build upon the current supplemental offerings. Finally, our entire staff is totally committed to helping each of our students to find their passions while they are in high school. We believe that students that are able to connect their educational experiences with their passions will invariably become more engaged. It is never too early to start thinking about possible college choices or careers in your areas of interest. St. Bernard High School has a strong tradition and an impressively rich history of excellence. I am genuinely excited to work alongside our students over the next school year as they write their chapter of the St. Bernard High School story. Go Vikings!